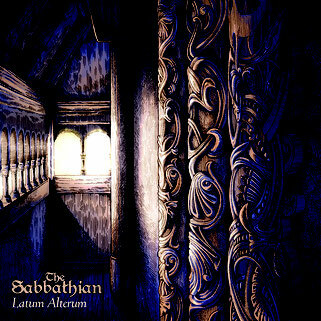 With this first full-lenght album, The Sabbathian is not really a newcomer. The norwegian-american act had already set the bar quite high with their first EP, ''Ritual Rites'', in 2014, which combined classy doom riffs with heavy power. ''Latum Alterum'', which is latin for ''the other side'', takes the listener further into darkness with a clear evolution in the sound of the band built on the multi-instrumentist Chad Davis (USA) and the singer Anette Uvaas Gulbrandsen (Norway). 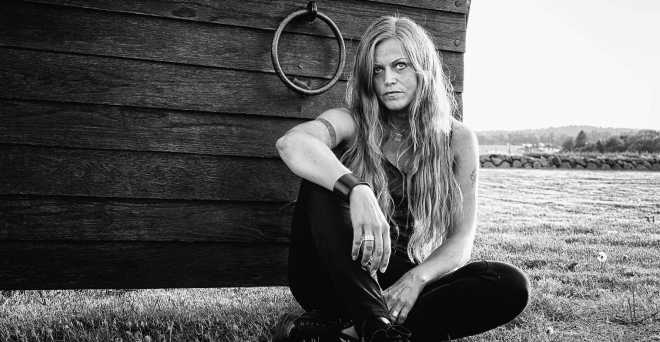 Anette delivers a haunting and versatile performance, from mystical heights to androgynous deeper vocals, framed by raw and raspy hypnotic guitar riffs. The dirty instrumentation combined with Anette's seemingly possessed vocals set the mood for these eerie and gloomy songs. It makes sense that the album was recorded with old analog equipments. This artistic choice serves the dark, filthy mood of the songs that go for a raw, even minimalistic approach. ''Latum Alterum'' captures the listener into its uncompromised darkness, far from epic guitar solos or catchy choruses. The Sabbathian designs its own sound and identity, rooted in classic doom influences, from bands like Black Sabbath to Candlemass. Which is one of the strengths of the songs in a time where many metal bands always seek for a bigger, stronger, more massive and straightforward sound. That allows The Sabbathian to stand out, adding to their doomy roots mystical and liturgical ambiances and a few norse folk influences. Also, it is worth noting that Anette teams up with another norwegian singer and no less than the iconic Liv Kristine (Theatre of Tragedy, Leaves’ Eyes, Midnattsol, solo). It is far from being the first time the two of them cross paths, Anette having contributed to a handful of songs for Liv's former band Leaves’ Eyes. So it was only natural that Liv returns the favor, combining her unique voice with Anette’s on the song ''Head of a Traitor''. ''Ritual Rites'' had already shown The Sabbathian was very promising, ''Latum Alterum'' confirms the potential of the band which surely is one that should delight every fan of old-school heavy and doom metal.